I'm torn. 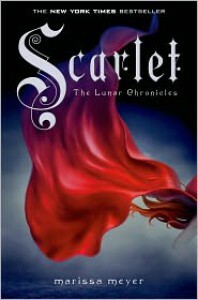 On the one hand, it was nice to continue Cinder's story with another perspective in the mix; Scarlet. But on the other hand, I didn't find Scarlet's story, or in fact her character, nearly as interesting or likeable as Cinder's. I found myself waiting to get back to Cinder's portion of the story, and almost skimming over Scarlets, especially during the gushy 'falling in love with a monster' stuff. If it wasn't for Cinder, Thorne and Iko it would have been mediocre, but I'm still heavily invested in this series, and can't wait to continue Cinder's journey.